This week, Howie Stalwick is Our Man in Vegas, reporting back to you about all the goings on at the West Coast Conference tournament. Byron Wesley played one of the best basketball games of his life Monday evening, but Gonzaga’s senior guard wasted little time talking about himself afterward. Wesley was already focused on Tuesday night’s championship game with BYU at the West Coast Conference tournament. The fact that BYU’s semifinal game with Portland had yet to start when Wesley spoke with reporters did not faze him in the least. Wesley, like all of the Bulldogs – and, one can be certain, all of the Cougars – desperately wants to have the championship decided by the two teams that have clearly emerged as the WCC’s best. Thanks to BYU’s 84-70 romp over Portland, everyone gets their wish. A sold-out Orleans Arena crowd and a national television audience (6 p.m., ESPN) should be treated to a dandy. For those not inflicted with Zag Mania, BYU ended Gonzaga’s 22-game winning streak and 41-game home winning streak with a 73-70 triumph Feb. 28. Gonzaga won 87-80 at BYU on Dec. 27 in their other meeting. Both teams are loaded with size, depth and offensive weapons. Top-seeded Gonzaga (31-2) is the superior defensive team, but the second-seeded Cougars (25-8 with eight straight wins) turned in a strong defensive effort in Spokane last month. BYU’s Tyler Haws is one of the nation’s leading scorers, and versatile Kyle Collingsworth (he of the six triple doubles this season) is a gutsy warrior. Also, BYU can shoot the lights out. The top-seeded Bulldogs (31-2) and second-seeded Cougars (25-8) are staging a rematch of last year’s title game. 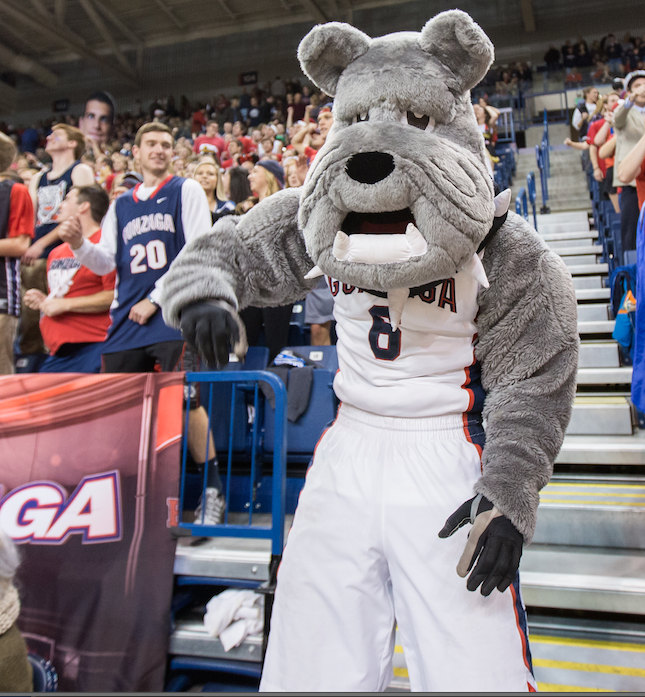 Gonzaga has won the past two championships, and eight of the past 11. Pepperdine, despite being seeded fourth and having no seniors, lost to Gonzaga by just two and eight points in league play. The Waves (18-13) played Gonzaga tough in the first half Monday and scored the first basket of the second half to forge a 35-35 tie. Over the next 9 ½ minutes, Gonzaga sank 14 of 17 shots and outscored Pepperdine 30-8 in one of the most dazzling performances you’ll ever witness. “That was easily the most fun we’ve had in a game this year,” Wesley said. Wesley sank 10 of 13 shots and scored a season-high 25 points. “He was feelin’ it,” point guard Kevin Pangos understated. Wesley played aggressively from the start, scored on drives and jumpers and tied his career high of four steals while playing tough defense. Strangely, Wesley made only 3 of 8 free throws on a night when Gonzaga shot better from the field (52.5 percent) than the free-throw line (47.4 percent). Gonzaga scoring leader Kyle Wiltjer, knocked out of Saturday’s game with San Francisco due to a hip injury, played 31 minutes and notched 17 points and nine rebounds. “He showed a lot of courage,” GU coach Mark Few said. Gonzaga’s 29th straight win over Pepperdine vaulted the Bulldogs into the tournament’s championship game for the 18th consecutive year. A victory over BYU would tie the school record of 32 wins in a season, set in 2012-13.